For most of us a trip to the seaside means a splash about in the waves or an ice-cream on the beach. For Mary Anning though the seaside was her place of work. 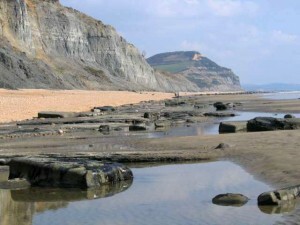 Her family were very poor and from a young age Mary helped her father to find interesting fossils, trapped in the shale rock along the coastline near Lyme Regis. They cleaned up the fossils and displayed them on a table in the town, where visitors bought them and the family earned some money. Mary was very hard-working and went out in all weathers to search for fossils. She knew that in the winter months occasional landslides would throw up lots of new fossils and these had to be collected quickly before the sea washed them away. 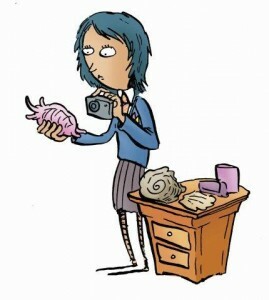 Mostly Mary was finding fairly small fossils of invertebrate sea animals, such as ammonites and belemnites. These she could only sell for a few shillings (or pence). 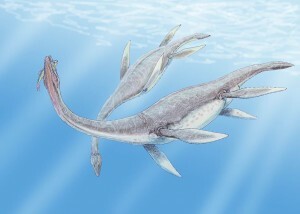 Sometimes she struck lucky and found much bigger fossilised remains, s uch as this Plesiosaurus, a marine reptile that was living in the Jurassic period about 200 million years ago. Mary became a famous fossil scientist (called a fossilist or paleontologist), well known in Britain, Europe and America. This was a remarkable achievement for someone from a poor background who did not have a proper education. After a while, she was such an expert on fossils that other scientists travelled to Lyme Regis to ask for her advice and help. because she was a woman, she was never properly recognised as a scientist in her lifetime. It was the geologists who were men that published scientific information about the specimens Mary found … without mentioning her name. 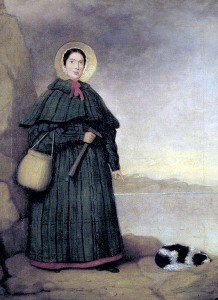 More recently, Mary Anning has been named as one of the top ten British women who have most influenced the history of science. 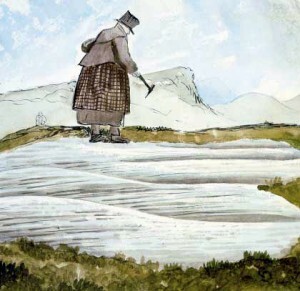 Mary Anning was a very religious person and she regularly attended church and prayed. Her scientific achievements were celebrated when she died by the construction of a stained-glass window which was erected in her local church. Members of the Geological society helped to pay for the cost. 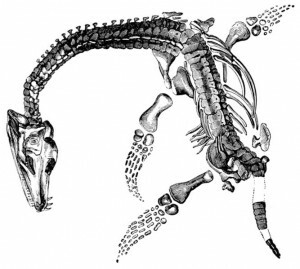 Is there a fossil scientist in you?